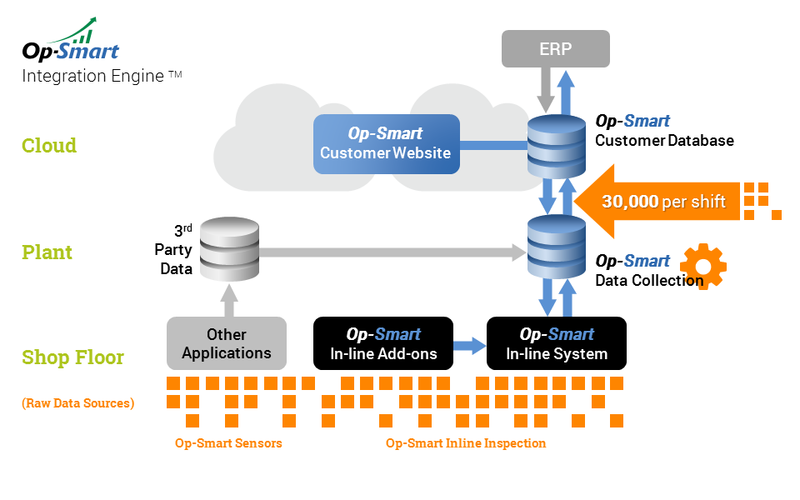 Op-Smart manages data in the cloud to supply all pre-build schedule information to the shop floor, and it sends all actual build data from the floor to the cloud for analysis and management. Op-Smart combines all production data to complete the full data needed for lean operation, augmenting existing workstations with its own measuring devices when needed. Op-Smart integrates with ERP and sends schedule and run requirements to the floor to enable management by specific run objectives. Cloud data hosting enables organization-wide analytical capabilities. Integration with ERP allows automatic scheduling to each floor device and establishment of run-specific production objectives .